Comments Off on I Have a Baby! Baby Miles was born on August 15th 2017, 19.75 inches, 7lb 9.5oz. He is perfect, adorable, and already keeps me on my toes. Comments Off on Did I Mention I’m Having a Baby? Man. Every time something exciting happens, I think for sure it’s the nudge I need to come back and start blogging again. Guess what happens…. 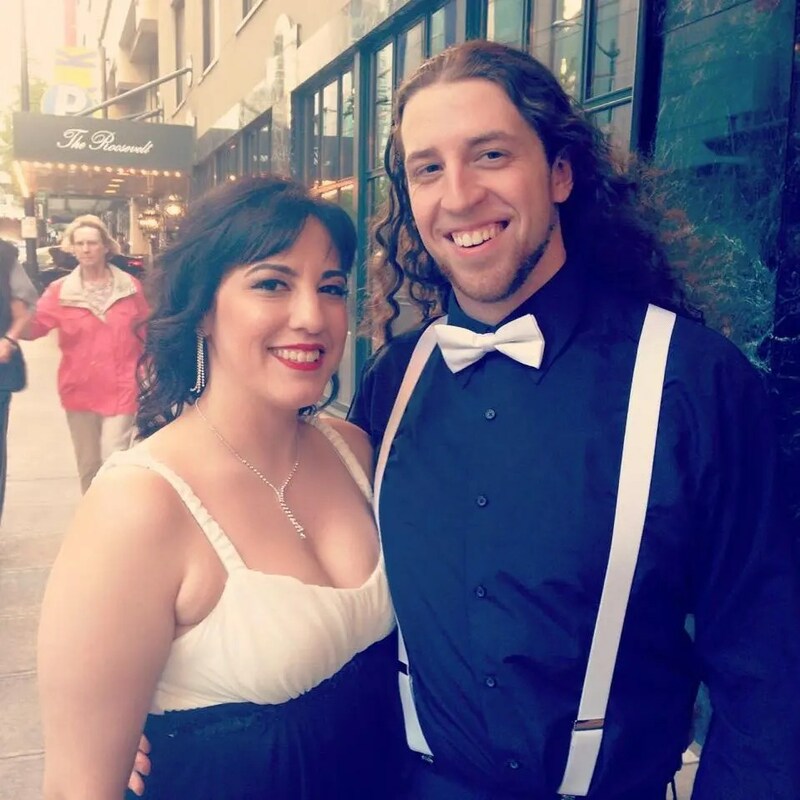 When I got engaged, I figured planning a wedding would give me tons of blogging fodder. It actually did, but I was so exhausted planning it that I didn’t have the energy to blog besides the one post I made! The wedding was amazing though, I promise I’ll make a post about it soon, share the video and a few photos. When we bought a house (… oh I guess I didn’t mention that either), I suppose I could have made a post about the buying process, but honestly it’s kind of boring. Our house is cute though! And Toby is absolutely loving his new yard. Maybe I’ll post about it when we have our housewarming party… in July… hah. So now, we’re having a baby! Exciting right? Want to guess how far along I am based on how many posts I’ve made? Nooo I’m not going to pop tomorrow haha, but I am in the third trimester. Baby Boy is due mid-August, Kevin and I are very excited! 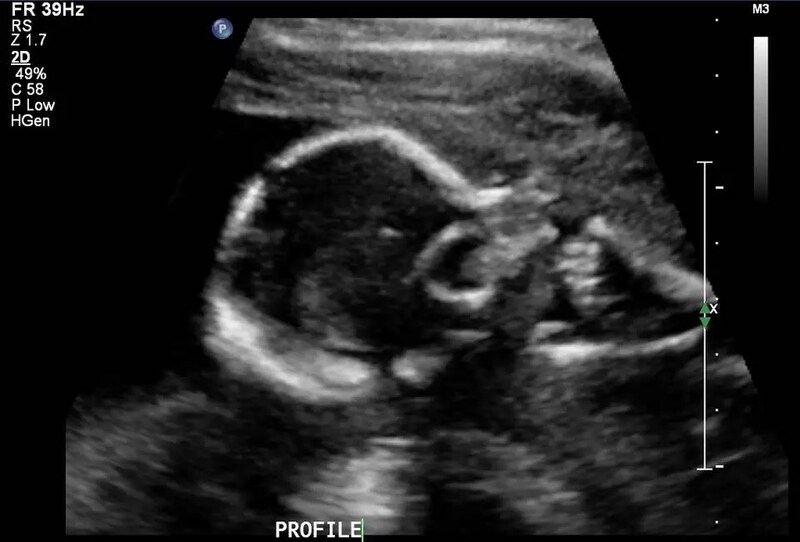 Here’s what the little guy looked like at our 20 week anatomy scan. I’m not sure what all I’d have posted about so far. First trimester was a blur of exhaustion and nasty morning sickness. Second trimester got slightly better. I’m feeling surprisingly good now at the start of the third, but I’m sure comfort-wise it’s going to start going downhill any time! I already ache all the time, but it’s manageable. So since clearly being pregnant wasn’t enough to make me blog… we’ll see what happens when kiddo is born. Maybe I’ll become a Mommy Blogger hahahaha. Probably not. I’m not saying these things are New Year’s Resolutions persay, but there is something about the start of the year that makes for a good time to sit down and evaluate what you want to get done. I don’t buy into that “New Year, New Me” thing so much (though I’m pretty sure I did use that hashtag last year haha), but I do think that having a plan is good. So, here are some things that I’m hoping to accomplish in 2016! – Plan a successful, fun, and reasonably priced* wedding. I’ve got the venue and photographer booked so I’m on the right track. 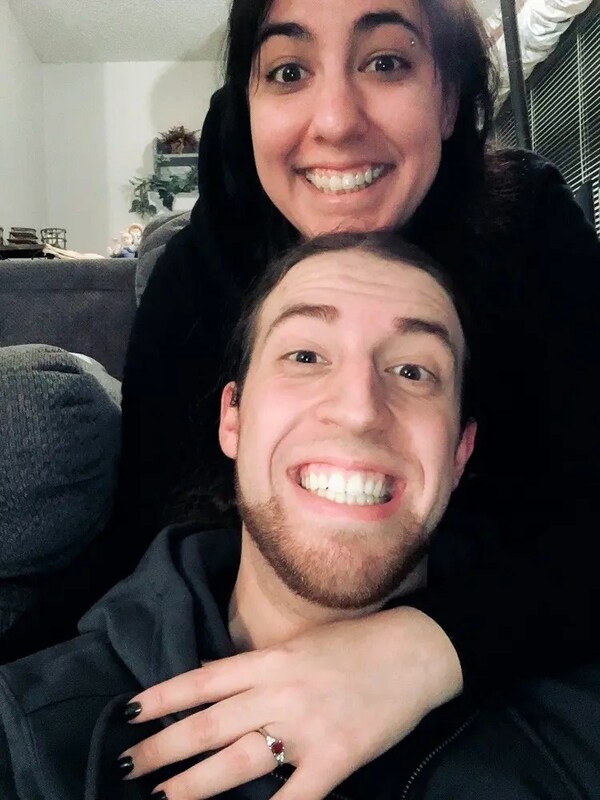 We’re a little crazy and are getting married in September. – Lose 20lb to look awesome in my wedding dress and feel good and all the other benefits of losing some extra weight. I also want to start doing yoga. – Spend more time reading. – Learn German, and brush up on my Spanish. – Get a puppy (maybe haha). – Expand my business. I haven’t decided what direction I want to go yet, but I want to start doing either some freelance web design, or photography. I also plan to start selling a small quantity of handbags. – Catch up on my business taxes. I’d like to actually have the funds in January for them, not in April. I’m tired of always trying to keep up and would love to actually be ahead of the game. I think that’s pretty much it! I think 2016 is going to be pretty good and I look forward to seeing what it brings. So I know I said that I wanted to do more blogging, and then I didn’t. It’s kind of the story of my life sometimes. Let’s see if I can do better in 2016! But, I suppose there needs to be a recap so those of you that aren’t my friend on Facebook or even Twitter know what I’m talking about (… as if anybody reading this doesn’t fall under one of those categories haha). Traditionally, I’m guessing chronological order is the best way to go about it, but I just want to start with the most exciting bit! So for Kevin’s birthday in early December, we went back up to Victoria so that we could see the lights at Butchart Gardens. Apparently Canada is our birthday-place haha. So we were there and the lights were all beautiful and we had a great time. The best part was that while we were there, on his birthday, surrounded by adorable Christmas lights, Kevin asked me to marry him! Of course I said yes, how could I possibly not?! We’re very excited. Ok now that I’ve said that, I can go over the rest of the year. It’ll be quick, because everything pales in comparison. – As you know, Sonia came to visit me earlier in the year. She actually came again this month because I needed her here in person to squee with. That was awesome! – Saw Phantom of the Opera, which I was way thrilled for because I’ve been dying to see it on stage since high school. We looked snazzy and had a great time. – Went on a mini vacation to Leavenworth, an adorable little Bavarian town not too far from here. – Participated in a lot of sewing swaps. – Turned 30, but you already read that blog post. – Did a bunch of archery, and also wound up with an airsoft pistol. Also fired a real gun for the first time ever. – Failed Whole30. Oops. I actually need to try to succeed at that again, I have a pretty dress in my future that I want to look awesome in! 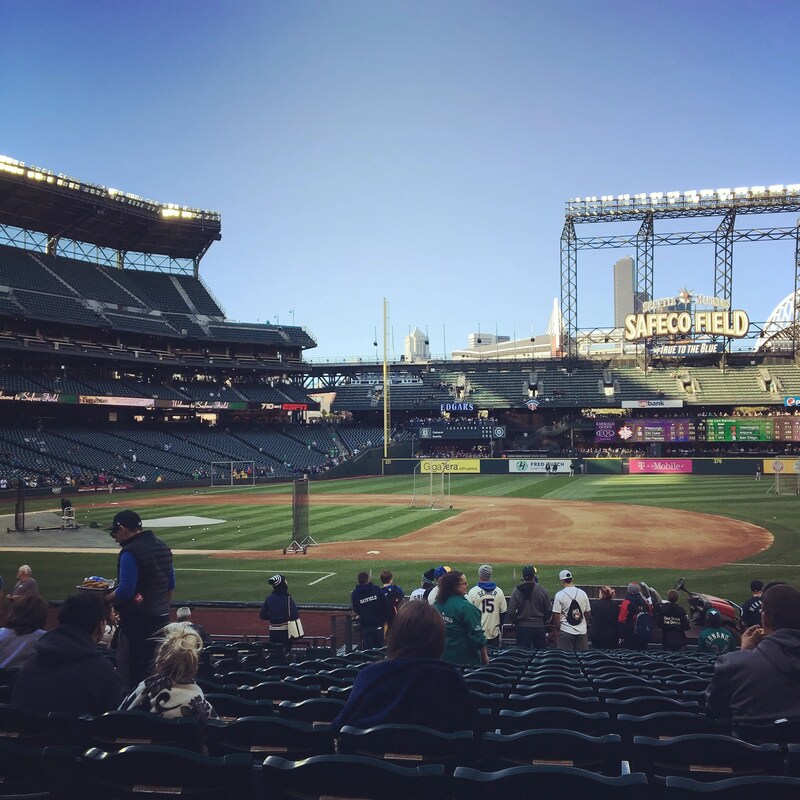 – Went to my first Mariner’s game. Had amazing seats! Went into crazy overtime but sadly we lost in the end. – Saw Rocky Horror Picture Show, dressed appropriately for it. – Drank way too much Starbucks. – Played a lot of video games. Started a YouTube channel and another neglected blog related to said games. – Went to Canada and GOT ENGAGED. Oh, I said that already. Sorry…. – Got a bunch of awesome Christmas gifts. Had a quiet New Year. And there we are folks! All caught up. Tomorrow* I’ll make a post about what’s coming up in 2016. Yaaaaay! 2015 was amazing, I hope 2016 is even better. I’m a little sad actually, I was planning on blogging about my trip to Canada, but apparently that was already almost a year ago and blogging about it now would be embarrassing haha. If you care you can see my vacation pictures on Flickr though. Kevin took me to Victoria for my birthday last year and I absolutely loved it there. It really was My Place, I even knew how to navigate it and find places (which, if you know me, you know is a miracle because some days I swear I can get lost going from my kitchen to the bathroom). Anyway. A bit more relevant as far as the Timeline goes is that the always amazing Sonia came to visit me last month! I hadn’t seen her in over a year, which is way too long for us to be apart. What did we do while she was visiting? The exact same things we’ve always done for as long as we’ve known each other; we ate, we drank, we ran around doing random things. I love how some things never change! The first stop was Mongolian food, which it a tradition that dates waaaay back to when we first met. Because nothing says BFF Love like a pile of noodles bigger than any mere mortal could eat. During the trip we also had margaritas, ice cream, piroshkies, crepes, omelettes, and more! We didn’t only eat though! We also went to the shooting range, where Kevin taught her the basics of archery. She did well and had a blast, which was awesome! I did pretty badly, which means I just need to go practice more. Oh, you didn’t know I did archery? It’s a new hobby, I have a pretty bow. More about that another time. We also did touristy stuff around Seattle, including visiting the Gum Wall which is pretty much the most disgusting thing I’ve ever seen haha. Her visit was way too short, but we had a great time. I can’t wait to see her again!